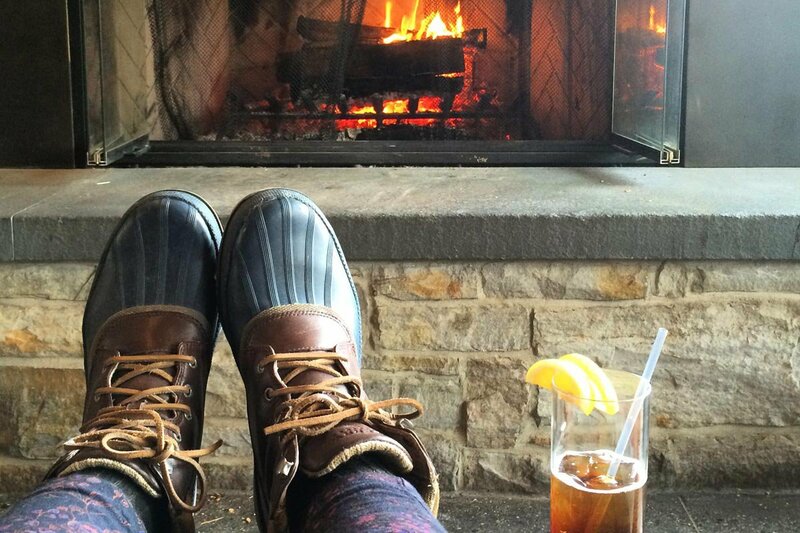 Put your feet up and get cozy. All photos by Tiffany J. Davis. 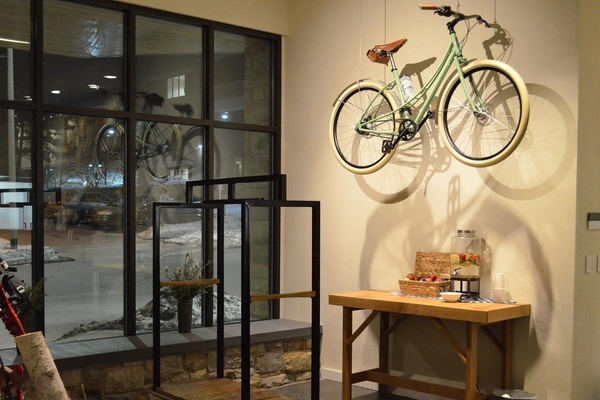 The scene in Burlington is a mix of classic Vermont (scenic hikes and sporty action) and modern charm (artisan crafts, farmer-run eateries, and local microbreweries). And it's absolutely worth a few days. BURLINGTON, Vermont – If a sleepy college town grew up, had a few adorable kids, and still found energy to shop organic, cross-country ski in the winter and hike in the summer, and patronize the local cocktail bar scene, it would look a lot like Burlington, Vermont. Just five hours by car from New York (45 minutes by air) and three and a half hours from Boston, Burlington is an endearing mix of University of Vermont co-eds, New England weekenders, and locals pulling kid-packed little red wagons up, down, and around quaint downtown Church Street square. The beer scene is slamming. Gorgeous Lake Champlain is just down the hill. And many of the coolest spots in town are run and staffed by second- and third-generation farmers and Vermont craftspeople. 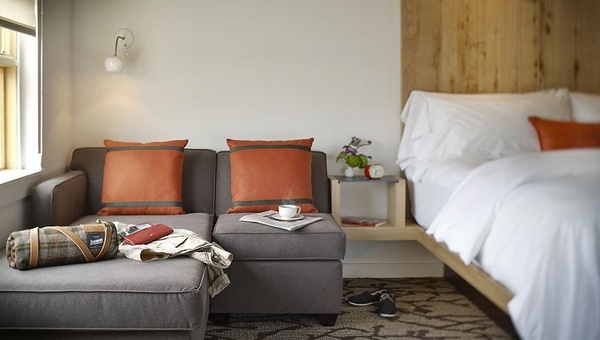 Here's how to make the most of just a few days there — and plenty reason to extend your stay. The sleepy streets of Burlington. Details around Hotel Vermont. Bottom photo courtesy of Hotel Vermont. Apothecary class equipment at Hotel Vermont. Butcher in action at Hen of the Wood. The candlelight and wee hours bar scene at next door eatery Hen of the Wood will beckon you from the street. Give in to the call and make sure to slip back past the bar and peer through windows built into the subway-tiled kitchen walls. Linger over the expert butchering and shucking that will end with plates of rabbit loin, roasted veggies, and oysters on your happy table. The Farmhouse Tap & Grill feels like the kind of place you'd order a burger on reflex. And you totally should — it's really good. But the kitchen also serves a specialty menu with a local bent: Vermont cheddar ale, winter roots salad, and house-pressed apple/carrot/ginger juice. If you've got a whole day to do the local food scene, book a tour with Dig In Vermont food adventures, a network of specialty farm tours offering tastes of everything from milk to maple syrup. It's easy to spend the day working your way through the list at Citizen Cider. Brewery culture is a total thing in Burlington. Hotel Vermont's resident beer concierge Matt Canning was my suds sherpa. He's happy to point visitors in the right direction or lead a private group tour. Go ahead, ask me about the hops. I know everything now. 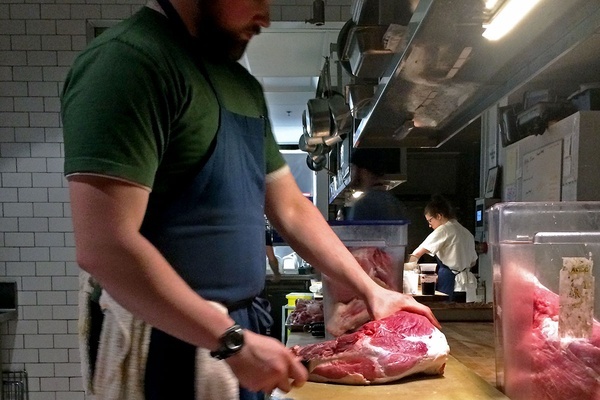 Locals take farm-to-table pride to a whole new level. At Zero Gravity Craft Brewery, it feels like homegrown reverence, from the wall art (which pays homage to local farmers) to the egg-topped pizzas from adjacent American Flatbread (where cheese and produce toppings hail from a handful of farms just a few miles away) to the open view of the working, whirring, brewing room (where they process hops from start to glass). 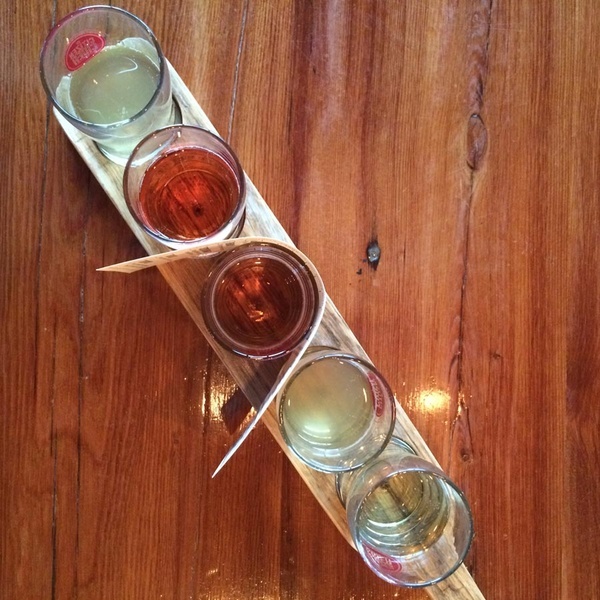 Follow Pine Street away from downtown and you'll hit South End Arts District hangout Citizen Cider, where the cute, friendly staff and the quirky brews (The Dirty Mayor, bRosé, and The Full Nelson) will have you grinning before the first sip. Call ahead to book the tasting room — or just come early to grab a people-watching spot at one of the locally made communal farm tables. Regulars make a Sunday of it — mingling, snacking on moules frites, and casually flirting and chatting the day away. 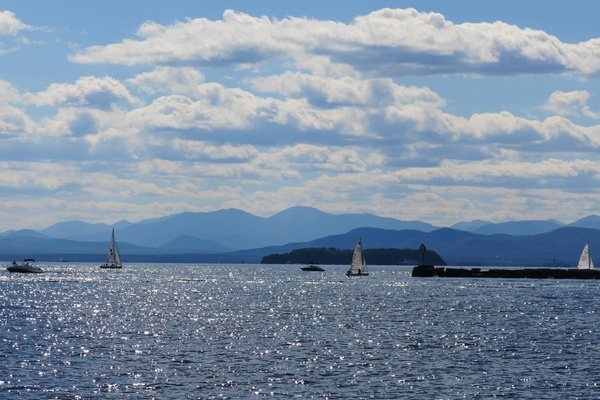 Lake Champlain in the summertime. 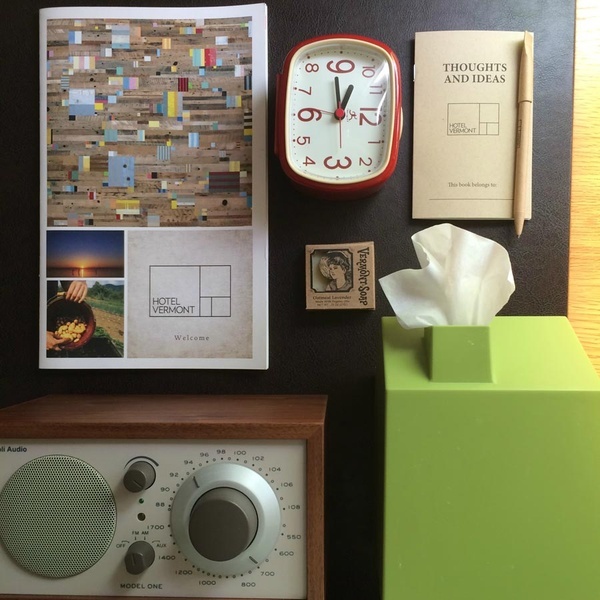 Photo courtesy of Hotel Vermont. 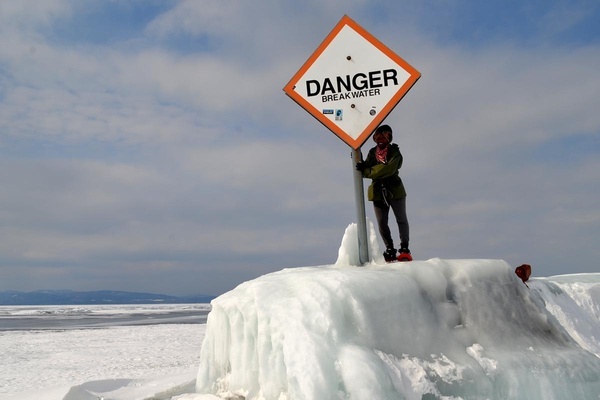 Danger means nothing to an experienced snowshoer. 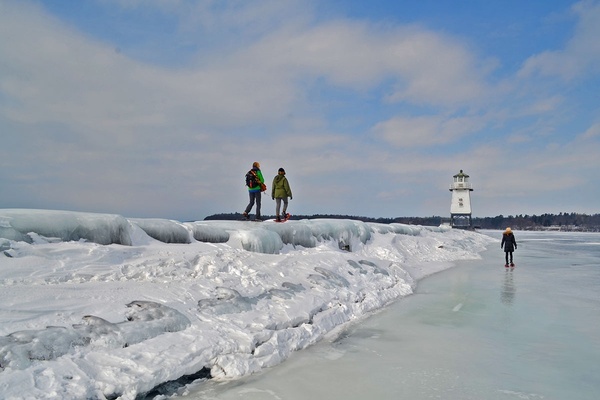 An afternoon winter walk on Lake Champlain. It's all happening on the ice. If you're here in the winter, rent clip-in snowshoes at Hotel Vermont (they're free to guests) and push off from the shore break just below the Lake Street walking path. Experienced snowshoers will tell you that the cracking and popping noises are a good thing. It means that the ice is expanding, not that you're going to perish into the depths of a frozen lake. That may take some time to sink in. (Excuse the use of "sink.") While it does, distract yourself with jaw-dropping vistas of the New York state shoreline and rolling hills across the lake or a stop by the famed seasonal Ice Shanty to chat up the local chefs who are fishing, sipping beers, and trading funny stories from the night before. On the shelves at Lumaroma. 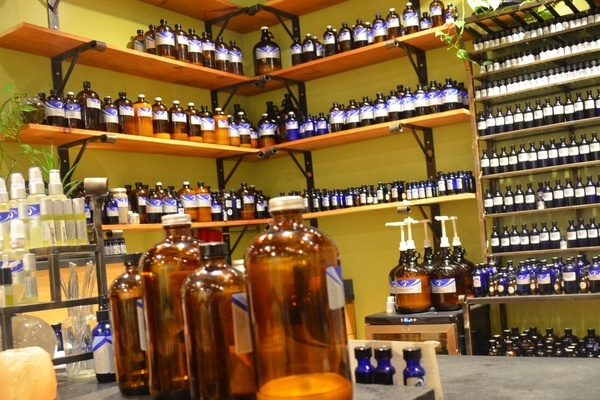 Two walls of natural beauty guru Leyla Bringas's Lunaroma are dedicated to touching, sniffing, and feeling her hand-sourced ingredients and essential oils. 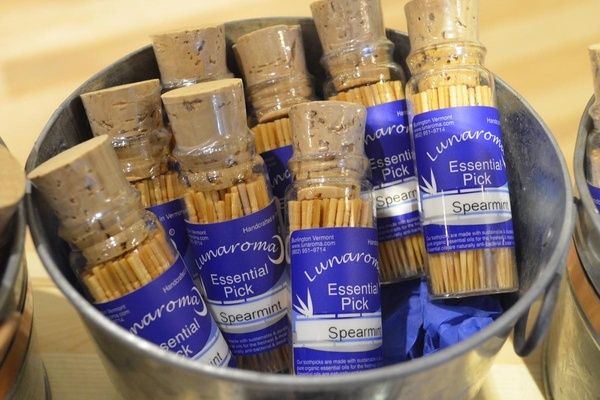 Choose your potions according to healing properties and benefits (scents to boost optimism and mental clarity) or specific needs (pregnant belly cream, handmade mint oil toothpicks). 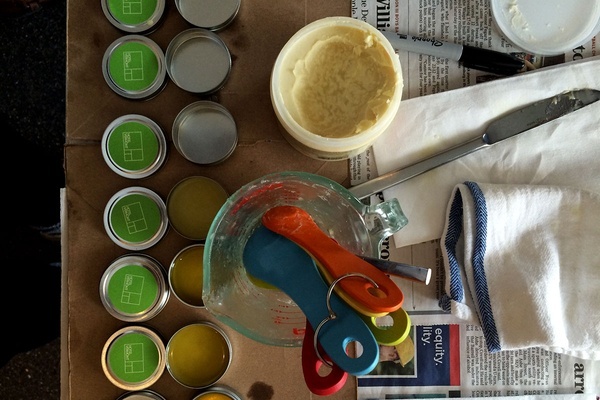 Bringas also stocks beautiful gifts like books and hand-painted lunar calendars that she'll ship to your home for you. The calming interior at Dobra Tea. 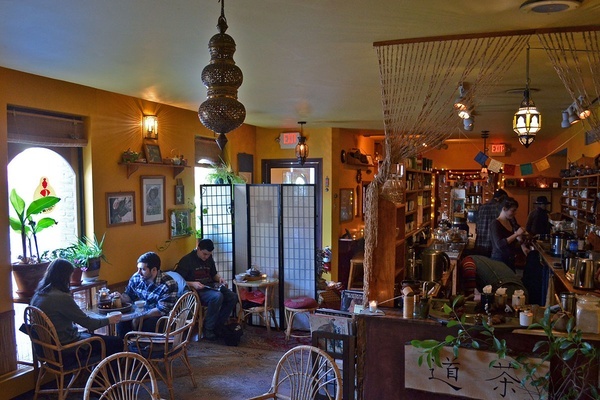 Get a taste of off-beat Burlington (which turns out to be as come-one-come-all as the rest of Burlington) at Dobra Tea on Church Street. Grab a lofted tasting pagoda, kick off your shoes (they're not allowed), and spend a few hours reading the house travel journal or filling your own. Order tea by its origin — or chat up a barista and have them make a custom blend based of favored flavors (cardamom, apple, orange peel). 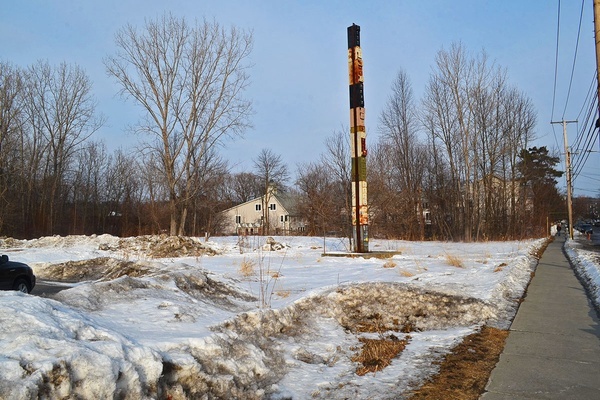 If you Google "Things to see in Burlington, Vermont," the thing that pops up every time is "World's Tallest Filing Cabinet." It's super weird — as in, you'll notice previously unaware drivers suddenly swerving to the side of the road to stop and snap a photo — but super worth it, considering that it's one parking lot across from the beloved Switchback Brewery, which is also worth a visit. Fly: Delta and Jet Blue offer direct routes to Burlington International Airport (BVT). Flight time from JFK and Newark airport is just under 45 minutes. There are no direct flights from Boston to Burlington — on the road or in the air, it's a three to four hour trip. A local taxi costs less than $15 and the local bus is even cheaper. 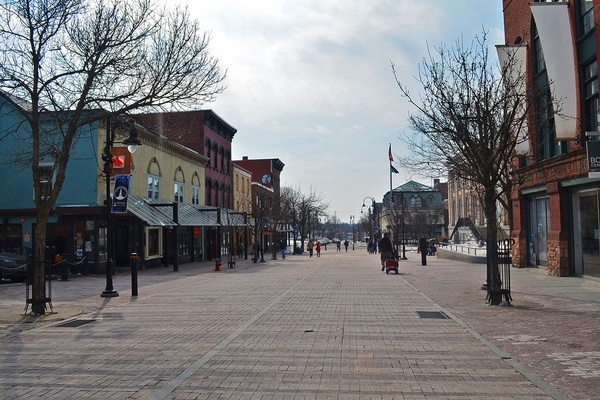 Once you get here, Burlington is a walking town. 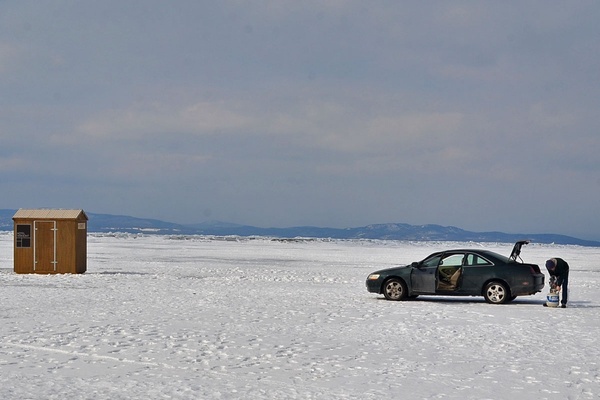 Drive: The drive is also pretty — and even more worthwhile if you factor in time to stop in neighboring towns like Shelburne (which features a working farm with its own inn) or Vergennes (known as the Smallest Town in the U.S. and home to adorable baked goods go-to Vergennes Laundry).